St. Joseph School recently won the top prize in a promotional video competition hosted by Catholic Financial Life. This video production, which touted the school and its offerings, was outsourced with input from Father Tony Robbins and the school's Marketing Committee. 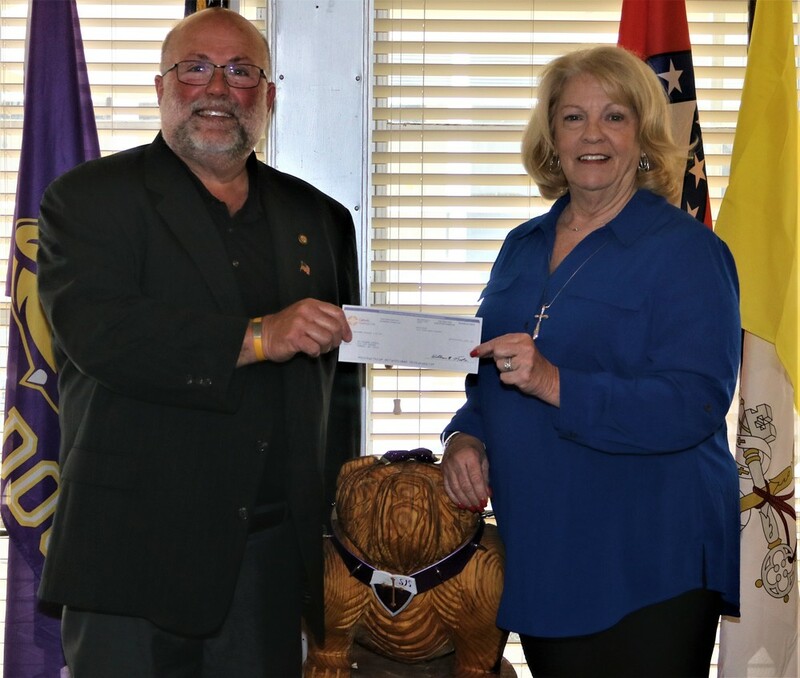 Catholic Financial Life Insurance Broker Ron Gatto is seen here presenting a check for $5,000 to St. Joseph Principal Diane Wolfe. This was a national competition in which students, parents, and teachers went online and voted for their favorite video. St. Joseph received more votes than any of the other participants. "We're going to ask for input from our teachers and students on how to best spend the money," Ms. Wolfe said. "We also want to be good stewards."